Do We or Do We Not Worship Like David? 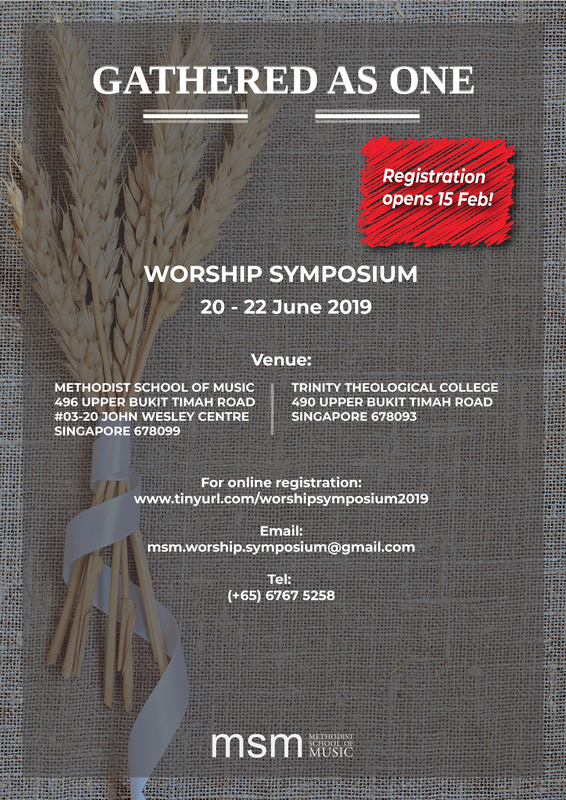 For more information, please download the brochure, visit www.msmusic.edu.sg, email msm.worship.symposium@gmail.com or call +65 67675258. To register, click here. Registration fee: [before 30 Apr] $220 (Individual), $200 (Group of 5 & above per pax); [after 21 May] $240 (All).